Milan: Gennaro Gattuso has sparked a fire in AC Milan. 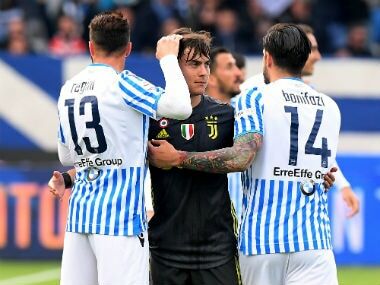 Unbeaten in 12 games with five wins in a row, the Italian coach has transformed the demoralised squad he took over three months ago from Vincenzo Montella. 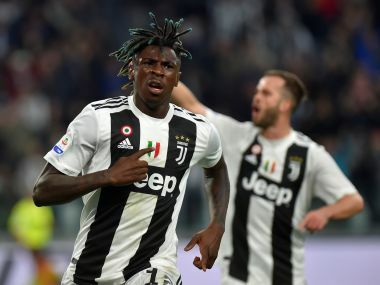 Sunday's 2-0 win against AS Roma in the Stadio Olympico was an important one, against a direct European rival which allows AC Milan to dream even of Champions League qualification. 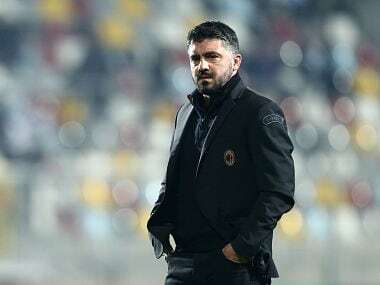 Gattuso's side are just seven points adrift of the last spot for the elite European competition. When he took over fourth place was 11 points away. "At the end of the match I congratulated the group, but I also said that we have to keep our feet on the ground," said 2006 World Cup winner Gattuso whose appointment last November raised eyebrows. In Gattuso, the Chinese-owned club – who spent 230 million euros ($270 million) in last summer's transfer market – turned to a member of one of their most successful sides, but one with little coaching pedigree who was training Milan's youth team at the time of his appointment. But the former defensive midfielder, who also spent a season at Scottish club Rangers during his playing career, has proved an astute choice and wants to seize his chance. "I need to thank (directors Marco) Fassone, (Massimiliano) Mirabelli and (owner) Mr Li (Yonghong) for the opportunity they gave me. I love Milan and they are my priority. It's like a family for me," said the 40-year-old after Sunday's win. "A beautiful relationship was born between me and these guys." But what is the secret that has got the seven-time European champions winning consistently again. For the players the answer is simple - hard work. "Gattuso is making us work harder, especially on tactics," explained Ivorian midfielder Franck Kessie, 21. "With Montella we did very little work in training, but it's different with Gattuso and you can see the results on the pitch. "It's like a family here and the results are arriving." Patrick Cutrone, 20, who scored the opener on Sunday for his 13th goal in all competitions his season, added: "It's an important win, one that will make a difference. "The coach really cares about the squad and we've come together under him. We are really united now. "Gattuso made us understand from the first day what it means to wear this jersey," added left-back Davide Calabria, who scored the second goal against Roma. "The winning mentality that Gattuso brings is incredible, as he focuses on every detail. We are working with great intensity." Older players have benefited as Giacomo Bonaventura has scored five goals under Gattuso. Their defensive base is also strong with just four goals conceded in the last 12 games. 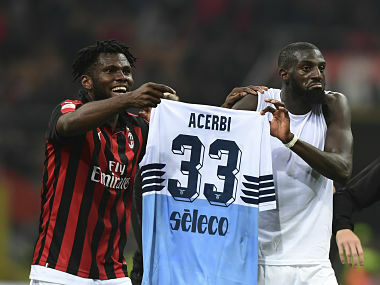 AC Milan will play Lazio in Wednesday's Italian Cup semi-final back in the Stadio Olympico, Inter Milan in next weekend's derby clash and Arsenal in the Europa League round of 16 on March 8. "From tomorrow the head goes to the Lazio," said Gattuso. "We are playing something important and we will think about the (Milan) derby from Thursday. "Has Arsenal lost today (League Cup final)? We are not Manchester City, we have to put on a helmet and go to battle."